WHY SHOULD HR WELCOME BIG DATA? Big Data, probably one of the most overused word for 2018, but what does it mean? Simply defined, Big data is data sets that are so voluminous and complex that traditional data-processing application software are inadequate to deal with them. A study done by SAS in 2013 predicted that 6400 organisations with 100 staff or more would have implemented big data analytics by 2018. What’s more, a Towers Watson survey of more than 1,000 organisations last year found HR data and analytics to be among the top three areas for HR technology spending. According to Dr. Arup Barman, Associate Professor at Assam University and Mr. Hussain Ahmed, MBA, MTech at Assam University, Silcha, Big Data analysis has the largest implications within HR departments. 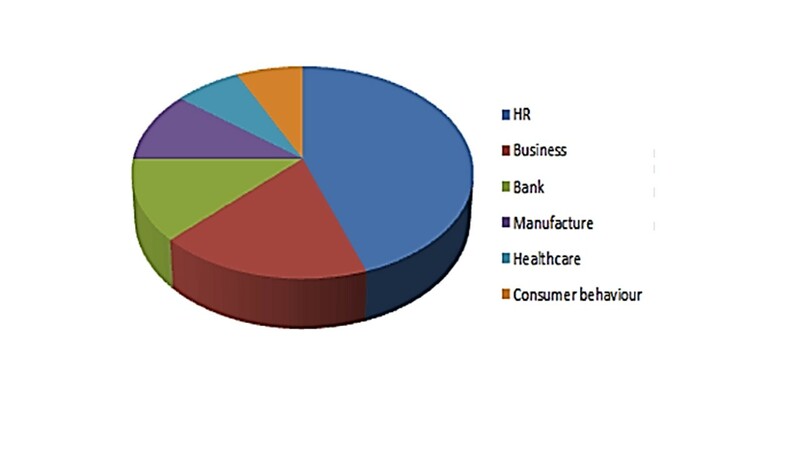 The following pie chart was produced in their research paper, Big Data in Human Resource Management – Developing Research Context. So how can HR then leverage on Big Data? Planning : Analyzing various internal surveys can help HR understand how to improve retention. If common employee complaints are identified in surveys, HR can eliminate them to prevent employee turnover. Survey analysis can also help HR to plan new, more effective talent- retention programs and benchmark workers more effectively. Talent forecasting : Relying solely on technology isn’t always effective: the human element of HR still matters, sometimes solving problems more efficiently than computers. However, using common HR tests can affect your hiring process and increase the quality of your hires. To do this, analyze the test results of your most successful employees and try to establish patterns that you can compare with those of potential candidates. While this isn’t a foolproof solution, it can help HR choose between two equally qualified candidates and increase the chance of hiring better employees. Worker performance : While it’s impossible to replace people with technology (at least for now), combining technology and the human element can do wonders for your company. Analyzing Big Data helps HR discover new insights and trends that can be shared with employees and help them in their work. This could increase their performance level, thereby helping your company succeed. Better understand your employees : To help your employees perform better, you need to know exactly what you want to improve and how to it. What are their current skills? What skills can they develop? What can be done to help them succeed at work? By studying workforce analytics, you can better understand your employees, know their strengths, weaknesses and current skills in order to help them grow. Find out what motivates your employees : Your workers’ engagement level directly affects your company’s overall results. In order to find new ways to motivate employees and make them more engaged, you need to know exactly what drives them. Analyzing data from survey results enables you to understand how to use what motivates them to improve engagement. When Big Data first came about it was thought to be a waste of time that would take too much time and produce zero results. Most recently it has been acknowledged that Big Data has the ability to evaluate and improve practices which leads to result production, especially in talent acquisition, development, retention and overall organizational performance. With Big data gaining traction in the HR world, employers are now able to analyse information that is able to draw out conclusions concerning employees' dissatisfaction, allowing them to nip the problem in the bud even before it occurs. While Big Data is still pretty much unheard of in the HR industry, it looks likely to become the new force in the corporate world to be reckoned with.